Thousands of people are injured by the negligence of others every year in Illinois. If you have been injured, the venue for your legal case is likely to be a local county courthouse. 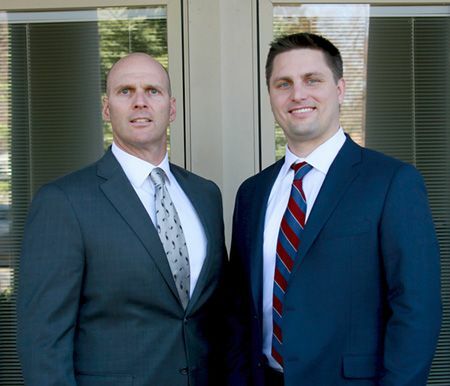 Partners John Spesia, Jeff Taylor and the team of trial lawyers at Spesia & Taylor have experience with the judges who hear injury cases in court houses in Will, Grundy, LaSalle, Kankakee and Livingston Counties and can effectively handle your case. Our personal injury lawyers have also gone to trial on injury cases in Cook County and in the federal court in Chicago. Ultimately, injury cases are decided by juries of local residents. With strong roots in the counties south of Chicago and through their philanthropic efforts in the local communities, lawyers at Spesia & Taylor are often known by the people sitting on local juries who assess the credibility of the attorneys and parties to a case. Our lawyers have handled jury trials and settled cases resulting in millions of dollars for our injured clients in the counties where we regularly practice. Unlike many firms, partners at Spesia & Taylor are involved in every injury case that is handled by the firm. Substantial cases are tried to verdict by a partner. We are dedicated to providing the best legal representation to make sure our clients who are injured in automobile, truck or other accidents receive just compensation. Lawyers at Spesia & Taylor also have experience handling cases in the Third District Court of Appeals in Ottawa, which hears cases arising from Will, Grundy, LaSalle, Kankakee Counties. If your case ends up in the appellate court, you will be in good hands. The doing of something which a reasonably careful person would not do under similar circumstances. If you or someone you know has been injured or killed due to negligence of another, the personal injury lawyers at Spesia & Taylor will work tirelessly to help you receive full compensation for your pain and suffering; disability; lost wages; lost future wages and earning capacity; mounting medical bills; future medical costs; loss of normal life; and, in some cases, loss of love, guidance and companionship. Our firm has diligently served clients for over 100 years, offering efficient and effective legal services to ordinary people who have been injured. If you have been injured in an accident, contact us today at 815-726-4311 or fill out our online contact form below. Please select where or how you were injured. Spesia & Taylor have tried personal injury and wrongful death cases in the following courts: Joliet, IL (Will County), Morris IL (Grundy County), Kankakee, IL (Kankakee County), Chicago, IL (Cook County), Wheaton, IL (DuPage County), Yorkville, IL (Kendall County), St. Charles, IL (Kane County), Ottawa, IL (LaSalle County) Pontiac, IL (Livingston County) and Bloomington, IL (McLean County).